Our comprehensive portfolio of services enable companies to drive their inside sales initiatives forward and attain revenue goals. Over the last 20 years Inside Sales Staff has recruited more Inside Sales professionals than any other company in the world. Our inside sales recruiting strategy is something our clients and we decide upon together. We decide who is the best possible fit for the position. And why. compensation, experience, industry, aptitude, cultural fit, and any other considerations. Then we start recruiting. We search inside our database of 9000 Inside Sales professionals, run help wanted ads, recruit from competitors, and more. Our end game is to present you screened, vetted, candidates. All you have to do is say yes or no. Our approach to Inside Sales talent recruiting greatly accelerates your hiring process and moves you out of recruiting mode and into hiring mode. Inside sales is a high-stakes game. For many companies, it is the engine that drives revenue and sales. As such, having the right inside sales team in place is of paramount importance. This is evidenced by a large number of firms competing for inside sales talent across all market sectors. The notion of running a help wanted ad, getting the right candidate, and living happily ever after is generally a romantic idea. The reality is the United States market for inside sales talent is brutally competitive. Companies who have adopted an inside sales model are hiring not one rep at a time but two, six, and ten at a time. How do we know? Because all day, every day, we recruit inside sales talent. This is our world. Do market conditions spell doomsday for companies looking to start and scale an inside sales team? More important is the question how does a company get the best talent on board? The answer to these questions is a company must out-recruit competition. This entails attracting more candidates and hiring them more quickly — a labor-intensive, time-consuming, arduous process, not for the feint of heart. Inside Sales Staff has a narrow focus, we specialize in inside sales recruiting and our value proposition reaches far beyond filling an empty seat. We help companies attain their revenue goals and help drive a critical aspect of their inside sales initiatives forward. Accelerate your hiring process, instantly expand your inside sales hiring team, hire the revenue producing candidates everyone wants. Save 30% - 50% on inside sales recruiting costs. Executives that recognize unfilled inside sales roles translates into unrealized revenue goals. Companies serious about and dedicated to insuring that their inside sales recruiting initiatives are moving forward. Organizations in a hurry to install, build, or rebuild an inside sales team. Overwhelmed HR and recruiting teams. Firms hiring large numbers of people in a short period of time. Companies seeking insight on hiring an inside sales leader for their organization. Companies losing talent to competitive firms. We identify any aspect of your infrastructure, practice, or process that impedes your ability to recruit the best revenue generating inside sales talent. Easy to use recommendations enable you to out-recruit other companies vying for the same candidate you are. Your hiring process will accelerate. A greater quantity and quality of high caliber candidates will apply for your roles. A $75,000,000 year training company needed to build an elite nationwide team in a hyper-competitive, low record unemployment hiring environment. Candidates need to possess the social calibration to interface with high level corporate executives and the skill set to sell something invisible. Heeding our compensation advice the client designed a compensation plan that paid significantly higher than national averages. They were able to consistently hire, in our view, the best of the best inside sales people and they have had no turnover in the last year after hiring six business development reps across the US. A Miami based technology company with $150,000,000 in annual sales, was unable to fill their VP Inside Sales position responsible for a department of 45 reps. For six months internal and external recruiters were unable to fill this critical role. The CEO directed his executive team to bring in our firm to solve this problem. Upon evaluation of the compensation plan in their respective location and market sector we advised the client to change the job title and compensation structure to align with the responsibilities of the role and market values. The role was filled in three weeks. initiative. Inside sales is an engine that drives revenue, it’s a serious matter. For an inside person to succeed they need tools, infrastructure, process and ongoing management. If you can solve a problem with money it's not a problem. Demand for talent is outstripping supply and causing compensation to rise steadily. 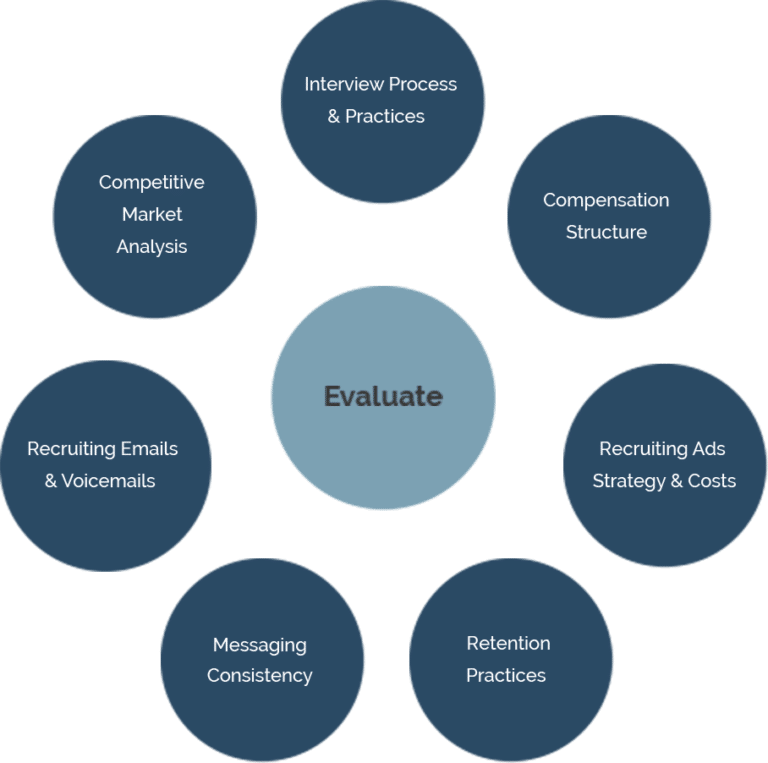 Testing in an inside sales recruiting process can get in the way and what is supposed to be a solution becomes the problem. Tests create a false sense of security. Inside sales is not for the faint of heart. The candidate you want to hire is being romanced by other nice to work for companies. The physical space (the environment) and the energy in that space will impact your ability to attract, hire, and retain talent. Think compensation ranges not exact fixed numbers as this practice gives you the ability to cast a wider net and draw a larger pool of talent. These simple hiring criteria are often overlooked: Can this person do the job? Can they walk the walk and talk the talk of the audience they sell to? Do they have the skill set and aptitude to do the work? The notion of running a help wanted ad, getting the right candidate, and living happily ever after is a romantic idea in today’s brutally competitive hiring environment. Hiring large numbers of people requires an entirely different strategy and set of tactics than hiring one person. Many companies during an interview will overstate what an inside sales person will make. We strongly urge you to avoid this practice. Companies who have adopted an inside sales model are hiring not one rep at a time but two, six, and ten at a time and absorb huge chunks of available workforce making life difficult for those attempting to hire. Hiring tests are overrated. You already know the answer when you hire someone. They will work out or they won’t. Inside sales supervisors, managers, directors, and VP’s have different skill sets and limitations.